China, February 03, 2017. – “I wanted to explore career opportunities in China, to learn more about the attitude of Chinese companies towards MBAs, and what we can offer them,” says Yanfeng Huang on why he headed off for IESE’s first China Career Trek in January. 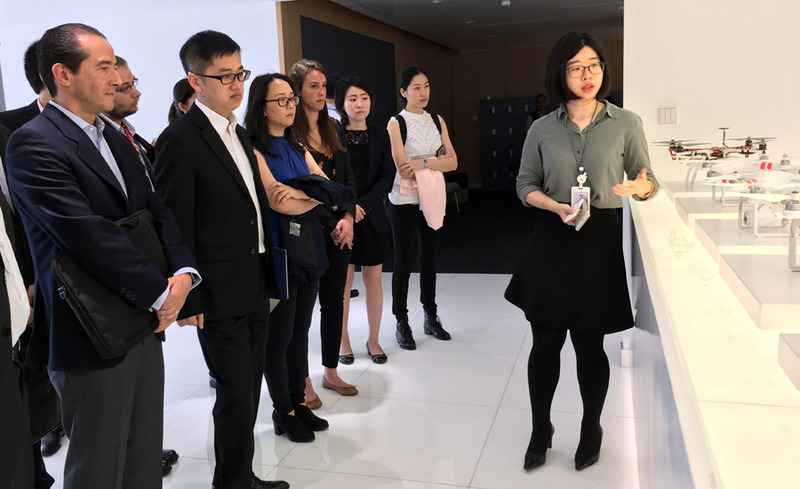 Each year, 20-25 MBA students will go on the trip for “immersion into the culture, deeper understanding of the companies, and access to top management and recruiters,” explains Nico Van Den Brink, MBACareer ServicesDirector. Over the course of five days, participants visited a total of 13 companies, as well as attending networking events, such as lunches and presentations. Businesses that opened their doors to visitors this year include Google, Morgan Stanley, Schneider Electric, BASF, Adidas, Mindray healthcare, Tencent online platforms, and Huawei telco. With offices in Hong Kong, China and Singapore, IESE has long had a presence in the region. But, following the success of the 3rd Career Summit in Singapore, an increased business focus on China called for a career trek as IESE’s second MBA activity there. Rather than focusing on a specific sector, the China trek includes a range of companies from banking to tech, healthcare, energy and consumer goods, among many others. “I particularly appreciated the variety of companies because it gave me a very good overview,” says Alexia Herrmann. What brings all these companies together, of course, is their origination or operations in China. “MBAs are able to go deeper into the challenges and opportunities of the region and what companies are looking for,” says Van Den Brink. “It was an opportunity to learn about the Chinese culture and globalization challenges,” attests Herrmann.